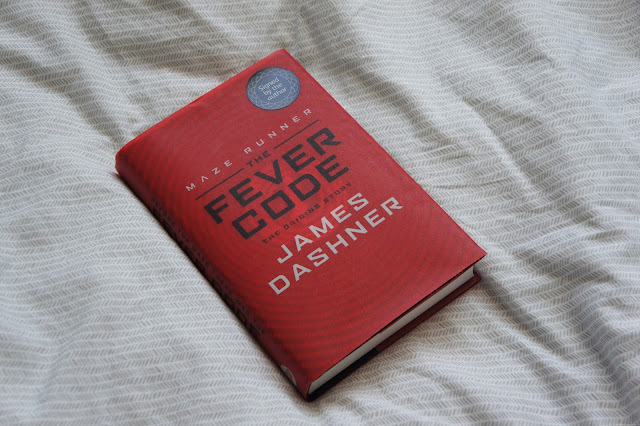 The Fever Code is the latest and final release in James Dashner’s popular Maze Runner series and explores the time before the trials we follow in the original trilogy. The novel kicks off with a prologue describing a terrifying scene where two young siblings are taken from their home after witnessing the murder of their parents. We then catch up with Maze Runner protagonist Thomas, along with some other familiar faces, in the years leading up to the maze. As a fan of the original trilogy I had been keen to find out more about the creation of the maze and what happened before the trials began for a long time. Similarly to the rest of the series, this book definitely keeps you guessing when it comes to the truth about WICKED, the trials and who, if anyone, can be trusted. The Fever Code explores further the motives of some of the characters fans will recognise from the other novels and may even make readers see some of them in a different light. Another interesting aspect explored in this instalment is how friendships developed between the characters we know and love before their memories were wiped, leaving them to meet for the 'first time' again in the maze. Having enjoyed the original Maze Runner trilogy, The Fever Code was one of my most anticipated releases of the year and it certainly didn’t disappoint. I really loved revisiting this world and these characters - the ending in particular made me want to pick up the trilogy for a re-read! Whilst I’ll probably always want to know more about this world, I think this was a great way to wrap up the series and is a must-read for fans of all things Maze Runner!